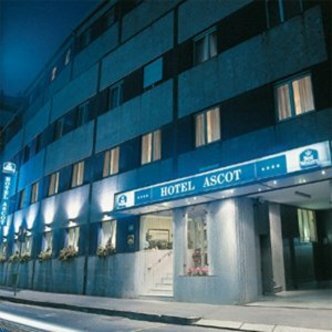 The Best Western Hotel Ascot is a recently renovated medium size hotel, located in the historical centre of the city, very close to the most famous places of interest like Duomo, La Scala Theatre and to the business and shopping area. We are easy to reach from the highways and taxi arrangements for the airport and personalized assistance are some of the most particular services that the hotel can offer. We feature fax and photocopy services, concierge, guest laundry/valet services and parking is available for a nominal fee. Our guest rooms have cable/satellite television, in-room movies, mini-bar, hairdryer, dataports, safe deposit box and room service.